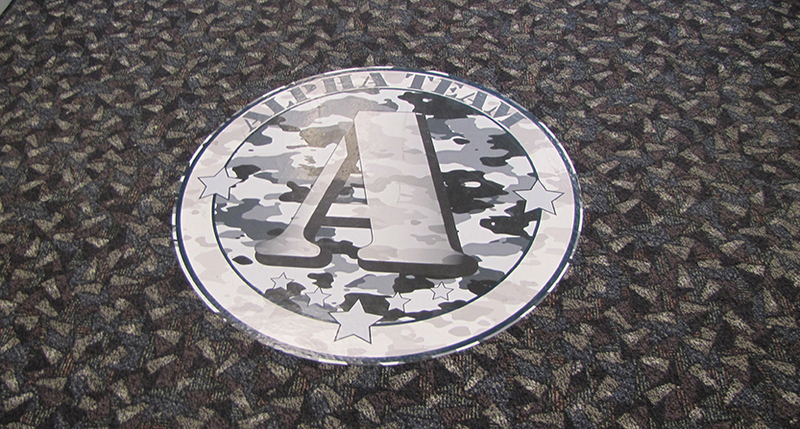 If you’re looking for a unique way to attract people to your business or event space, why not dabble in the fun customizations of floor graphics printing? These clings grab the attention of anyone walking by — or on — them. Placing your brand in sight will allow guests to receive information from the get-go. You’ve experienced the effect of floor graphics printing before, probably without even realizing it. Any sports game you’ve watched on television has promoted not only their school or professional league but also sponsorships, as well as allowing the viewer to stay informed about the rules and boundaries of the game. Quite powerful, isn’t it? 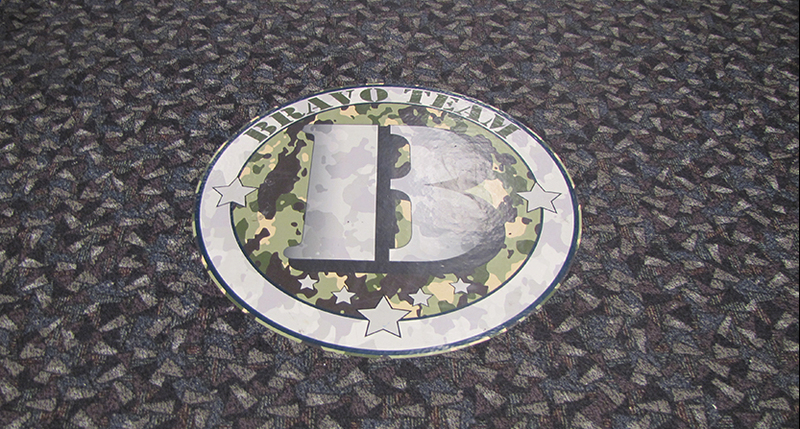 SpeedPro Imaging Sacramento uses vinyl printing and fade-resistant inks to bring your floor graphics to life. 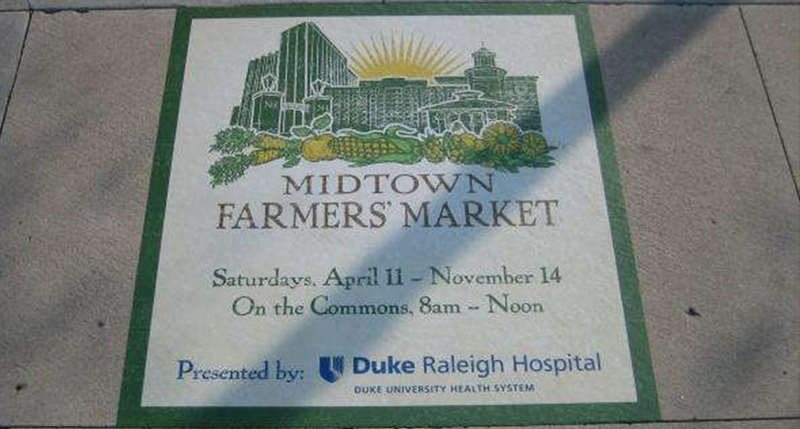 Whether you’re fully promoting your business or just adding some fun to a large event you’re holding, custom floor clings can do amazing things for your brand. If you’re located in the counties of Sacramento, Placer or El Dorado, reach out to our team today to get started. Decorating your floors and ground level ensures your customers know where they’re going and who they’re interacting with. 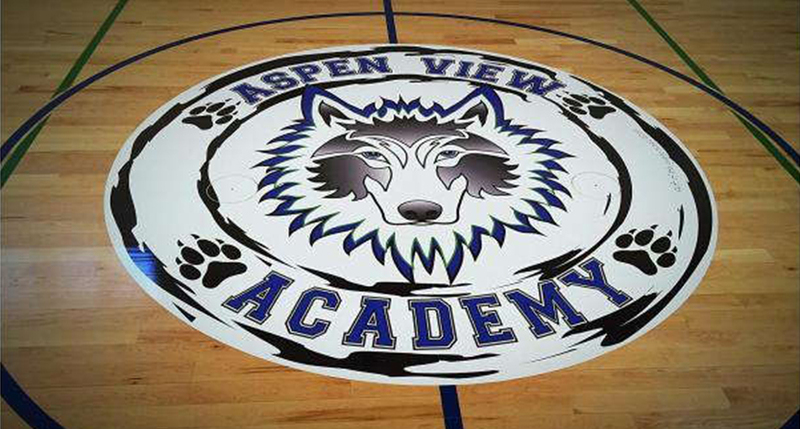 Floor graphics are just another way to add to your traditional forms of signage, which might also be in use within your space, including banners, murals and window graphics. With vibrant, attractive floor graphics, you can invite people to explore your business and find out more about your brand. Using a number of custom floor clings can come in handy for retailers. If you’re selling specific products, why not create clings resembling these items? You can then place them on the floor as a signifier for where products are located. You can also present your logo throughout your space, creating an area that recognizes and celebrates your brand. You can also get creative and informative by adding directional cues with vinyl floor clings. Use arrows, dotted lines, footprints or even words to lead your guests around a large event space that’s unfamiliar to them. By giving your customers the power to lead themselves, you can ensure that they’ll be more intrigued, wondering where the path leads to. In addition to customizing the look of your graphics, you can also choose to add finishing touches to your image. 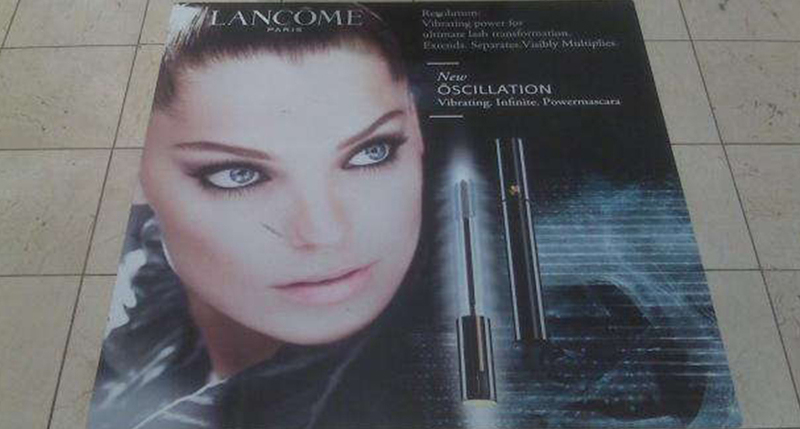 Matte and gloss finishes are very popular and beneficial for multiple reasons. A gloss finish can reflect light, creating more intrigue about what’s being shown in the distance. Matte finishes create a more professional, minimalistic appearance, which would allow your business to incorporate floor graphics without them seeming out of place. 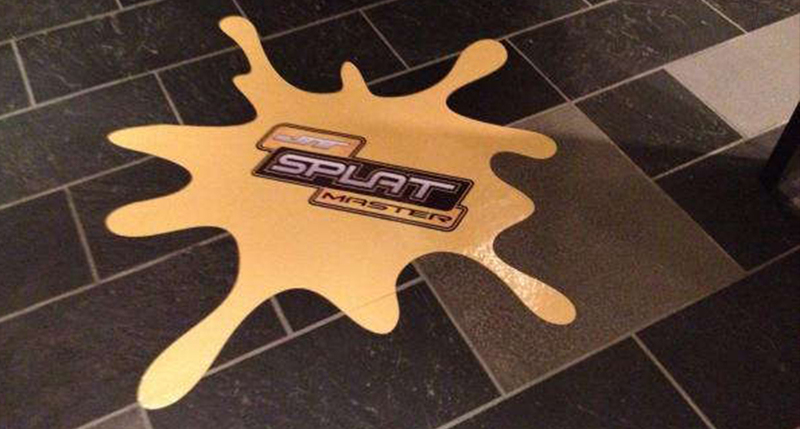 Floor graphics printing is a fun and innovative way to make customers interact with your business and find new ways to expose them to your brand. Call us today to begin setting up your initial consultation appointment with our design team.